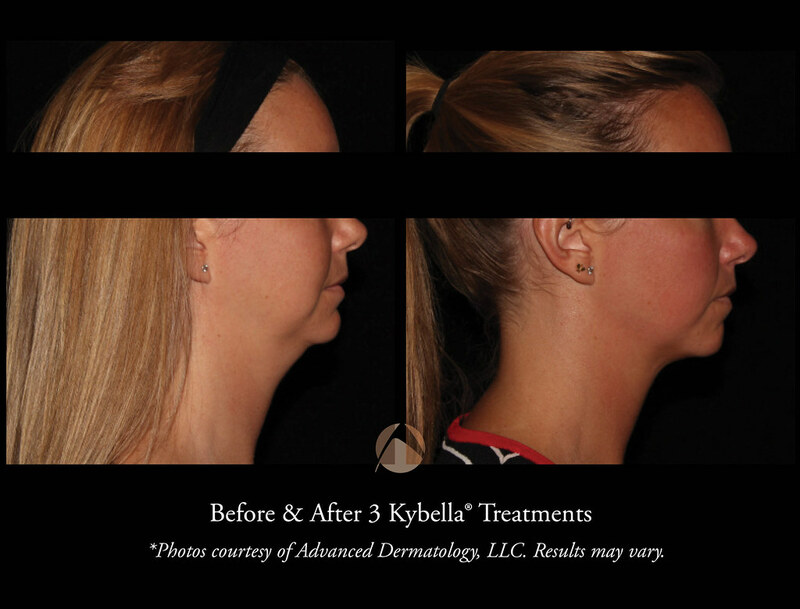 If you have a double chin and have been contemplating plastic surgery, Advanced Dermatology located in Chicago's North Shore suburbs is one of the first treatment centers to offer a non-invasive solution to destroying fat under the chin. 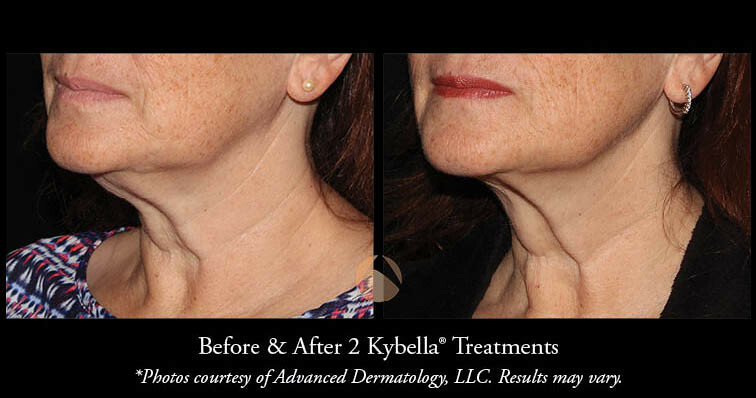 In June of 2015, Dr. Taub was chosen out of an elite group of physicians to offer patients KybellaTM, an injectable solution to dissolve fat in a "double chin" and to train other medical providers on the injectable technique. 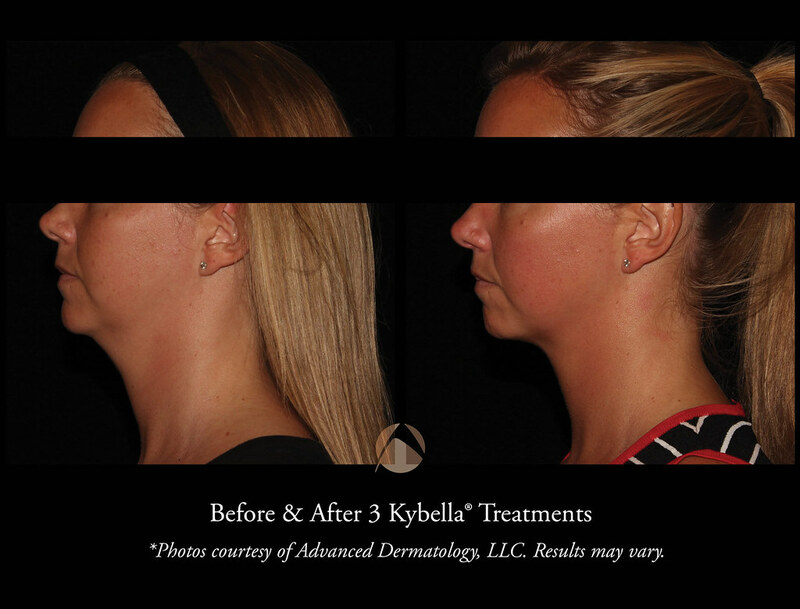 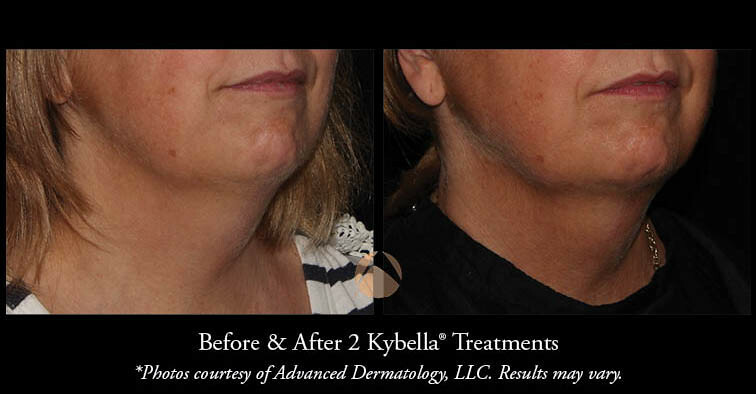 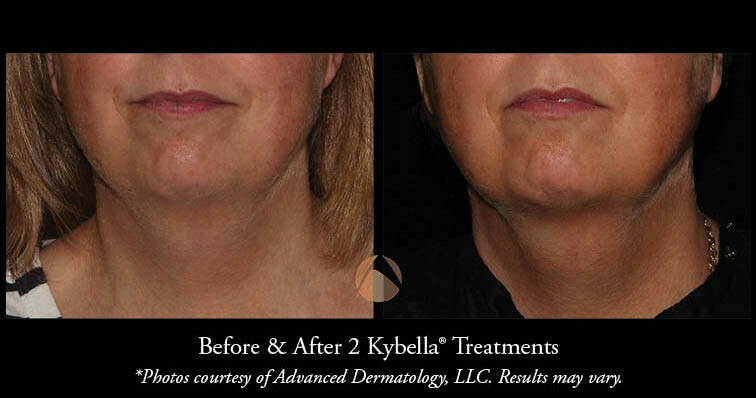 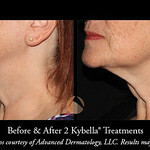 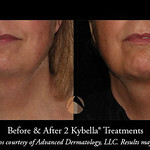 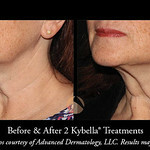 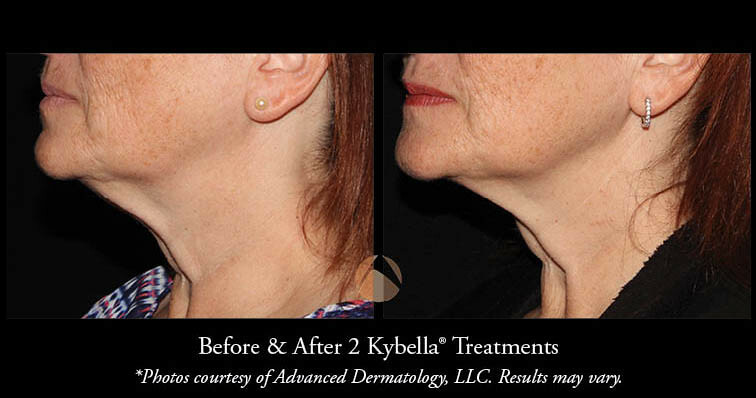 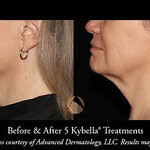 KybellaTM, approved by the FDA, is injected directly into the chin to destroy fat cells. 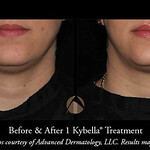 Kybella will contour the shape of your lower face by eliminating fat and resulting in a more defined chin and jawline. 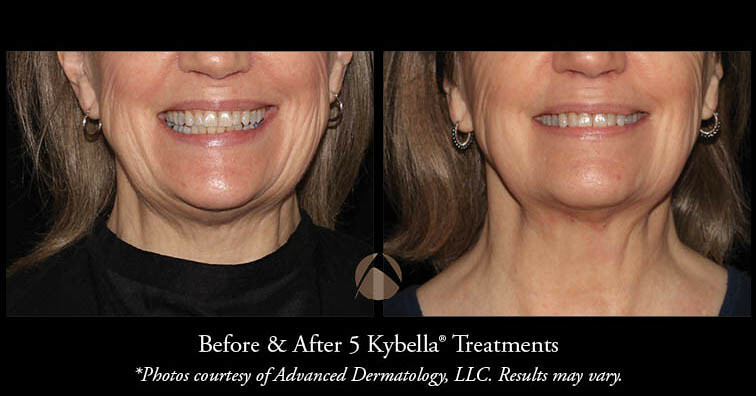 The severity of submental fullness varies from absent to extreme in both men and women. 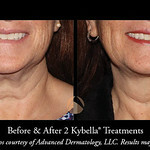 Depending on the severity, the right candidate may need 2 to 6 treatments. 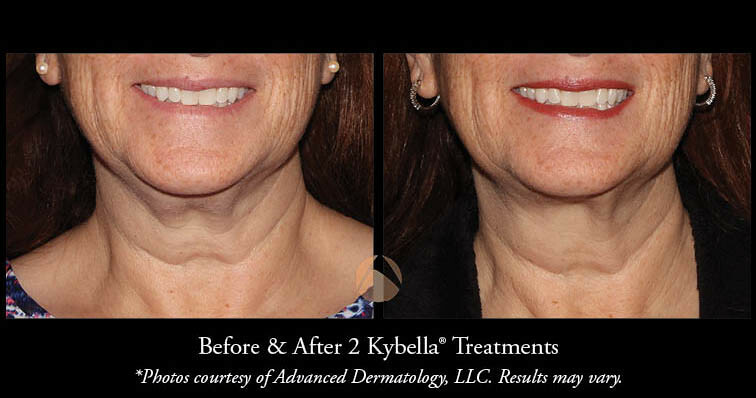 Advanced Dermatology has also succesfully treated lipomas, also knows as fatty tissues and skin lumps which appear under the skin. 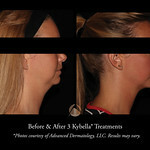 Lipomas can be found on different areas of the body, such as the neck, back, shoulders, abdomen, arms, and thighs. 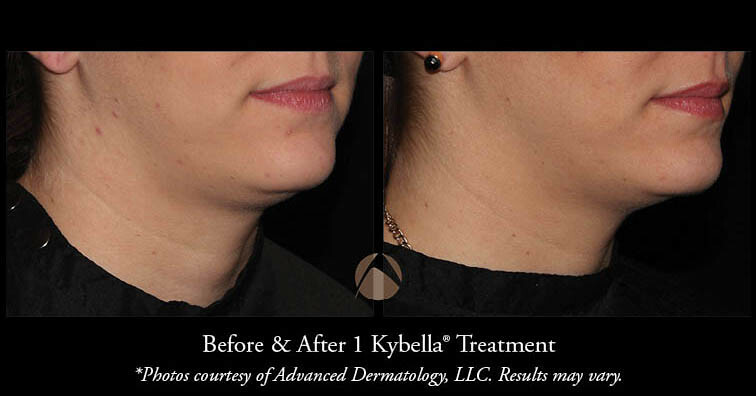 Kybella's main active ingredient, deoxycholic acid, destroys fat. 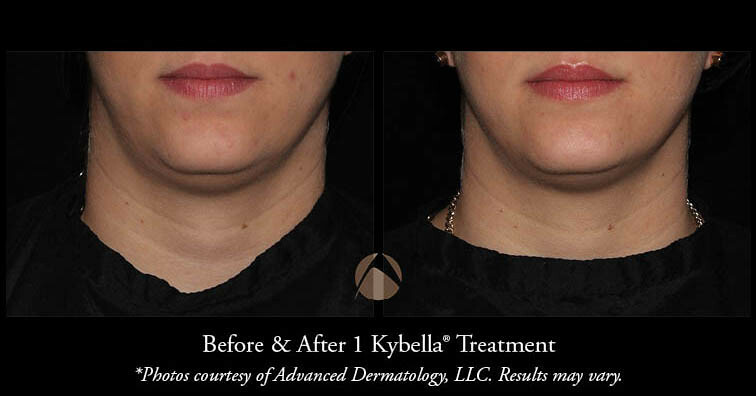 Deoxycholic acid is a similar synthetic version of a molecule that your body produces naturally to break down fat. 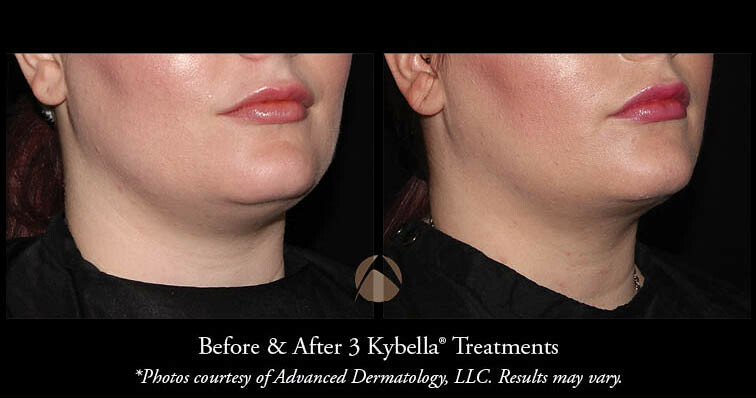 When injected, fat membranes are destroyed and the remaining is absorbed back into the body. 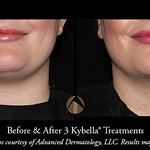 The drug's additional inactive ingredients include benzyl alcohol, dibasic sodium phosphate, hydrochloric acid, sodium chloride, sodium hydroxide and water for injection. 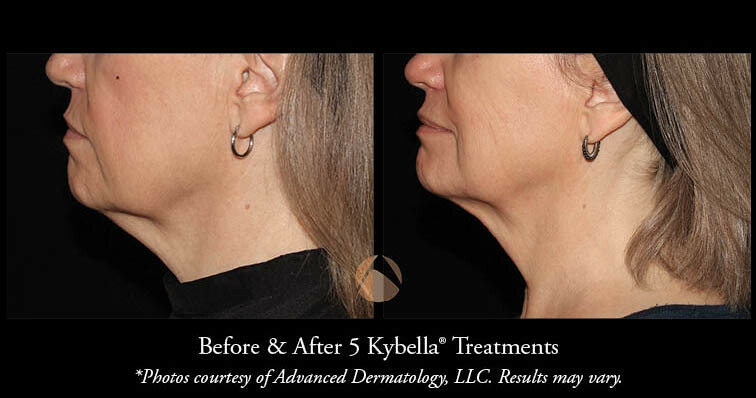 Patients with apparent platysmal bands may not receive optimal results and post treatment may need BOTOX® Cosmetic to treat skin laxity in the neck. 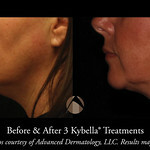 Our medical provider will inject (up to 50 injections) KybellaTM into the fat directly under your chin. 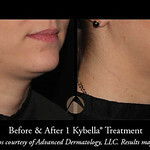 Most patients will require 2-4 sessions, depending on the size of the area and amount of fat. 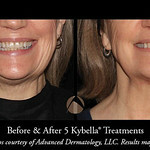 The treatment will be repeated every 4-8 weeks until desired results are achieved. 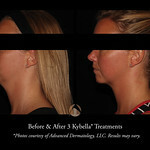 Patients can always wait longer to receive their second session to continue their progress due to events or lifestyle. 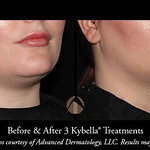 What is cost of KybellaTM? 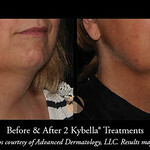 Cost depends on the number of treatments reccomended per patient. 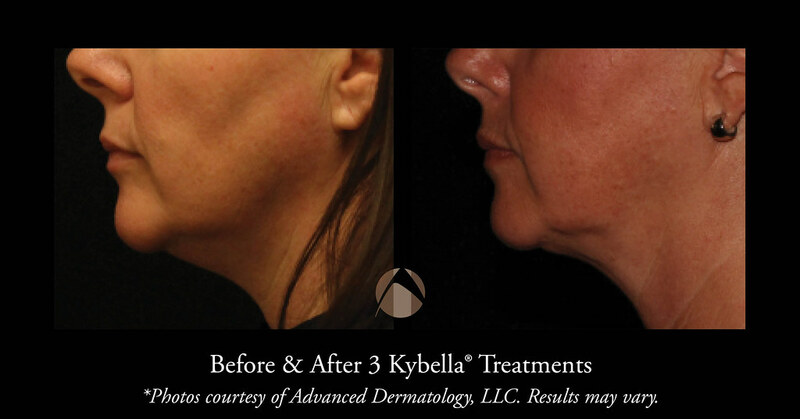 Treatments begin at $1,100. 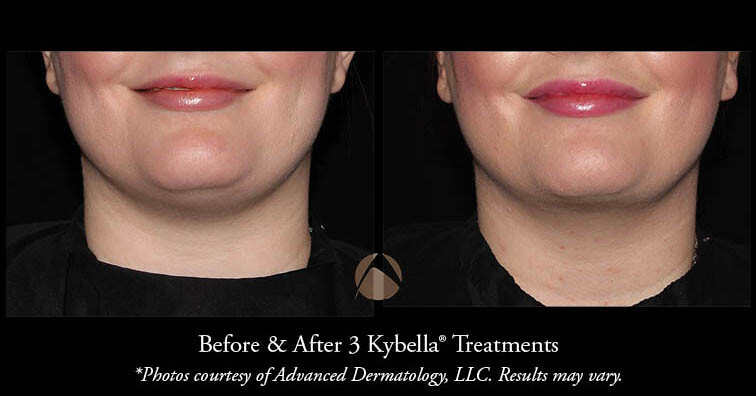 To learn more about KybellaTM, please call 847-459-6400 or contact us to make an appointment with one of our cosmetic coordinators.